Seemingly out of nowhere, the expression “giants on the earth” crops up in Genesis 6:4. Who were these giants? Where did they come from? Interpreters have debated their identity for nearly two thousand years. The meaning of some Bible passages is not as obvious as it might appear at first glance. One example is the unusual account in Genesis 6:1–4 about “giants” before the Flood. Who were these giants, and where did they come from? Answers in Genesis, the parent ministry of Answers magazine, does not hold an official position on these verses. We encourage all believers to study the Scriptures carefully and reach their own conclusions. These verses are obviously important since God included them in His Word. But a person’s views on the sons of God and the nephilim have no bearing on salvation. A quick reading might lead you to interpret the passage one way, but a closer look reveals many other possibilities, which need to be considered if you want to make sure your interpretation is consistent with the rest of Scripture. We can’t just accept our first impression or what one commentator says, but we need to prayerfully examine all the biblical evidence for ourselves. Just a summary look at the arguments and counter arguments for various interpretations of this one passage shows us just how difficult it can be to be sure of the right interpretation. Just who were “the sons of God” and the “giants”? Genesis 6:1–4 presents us with not just one, but two enigmatic groups who lived during Noah’s day. Their identity has puzzled interpreters for centuries. Just who were “the sons of God” and the “giants”? Adding to the intrigue is the fact that the specific Hebrew terms translated as “the sons of God” (bene ha ’elohim) and “giants” (nephilim) appear in the Old Testament only a handful of times. Uncovering the possible identity of these mysterious figures requires a detailed study of every potentially relevant passage in the Bible, and an analysis of more than two millennia of interpretations from Jewish and Christian writers. Every view teaches that the behavior described in Genesis 6:1–4 was sinful and contributed to the worldwide wickedness that brought about the Flood judgment. To help readers begin to sort out their own positions, this article attempts to provide an objective overview of the three major positions held by Bible-believing Christians concerning the “sons of God,” which generally influences a person’s understanding of the nephilim. A brief description of each view will be given along with the main arguments used by supporters of the particular position. Each description will be followed by the objections raised by those who disagree with that view. According to the Sethite position, the “sons of God” are viewed as godly men from the line of Seth and the “daughters of men” as ungodly women from Cain’s line. These marriages produced wicked children (nephilim) who became men of renown, possibly due to their extreme wickedness. Arguments for: The second half of Genesis 4 and all of chapter 5 focus on the lines of Cain and Seth, so one does not need to import foreign ideas into the text. Furthermore, we know that some of the Sethites were godly (such as Enoch and Noah), whereas the Cainite, Lamech, was ungodly. Objections: “Men” and “daughters” are discussed in a universal sense earlier in Genesis 6:1 (“when men began to multiply on the face of the earth, and daughters were born to them”), so why would verse 2 refer to only certain men (Sethites) and daughters (Cainites)? Also, the text does not state that all of the Cainites were ungodly. If the Sethite men were godly, why did they continue to marry unbelieving women? While God is always just to punish sin, why did He destroy the whole world with a Flood for something that has happened consistently throughout history (believers marrying unbelievers)? Those who hold the royalty position see the “sons of God” as polygamous kings, nobles, or tyrants who viewed themselves as gods. These kings lusted for power and “took wives” from among the common people, forcing them to join their harems.2 Some adherents of this position believe the passage was written to show the pagan nations that their kings were not gods and their gods were demonic. Objections: Is it sinful for a king to marry a common woman? The wording “they took wives” does not imply polygamy, nor does it imply that the women were forced into these unions, but it was a common Hebrew idiom for marriage. After all, Abram and Nahor “took wives” (Genesis 11:29) and Isaac “took” Rebekah as his wife (Genesis 24:67), and we know she was a willing bride. Also, while it is important to understand the cultural and historical setting of a passage, it can be anachronistic to rely on Ancient Near Eastern ideas, which are post-Flood, and read them into the pre-Flood world. Finally, it is highly debatable that “rulers” or “judges” is a proper translation of ’elohim. Advocates of the Fallen Angel position view the “sons of God” as heavenly beings that married women and had children with them. These children, the nephilim, were “mighty men,” “men of renown,” and “giants.” Many of the early writers on this subject believed the offspring to be demonic, but most modern scholars who hold this view reject that notion and believe they were fully human, as indicated by the words “mighty men.” A derivative of this view has the “sons of God” possessing the men who married and had offspring. Arguments for: The other uses of the Hebrew phrase bene [ha]’elohim (“[the] sons of God”) refer to heavenly beings (Job 1:6; 2:1; and 38:7)3, as do the similar phrases bene elyon (Psalm 82:6) and bene elim (Psalm 29:1; 89:6).4 1 Peter 3:18– 20, 2 Peter 2:4–10, and Jude 6 mention certain angels who left their own abode and are now being held in “chains” or “prison” until the day of judgment because of their sin in Noah’s day. 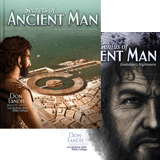 Jude 14–15 also quotes from the Book of Enoch, one of many apocryphal writings from before the time of Christ that identify the sons of God as fallen angels. Objections: Angels are spiritual beings, so how could they unite in marriage with women? Besides, Jesus said, “For in the resurrection they neither marry nor are given in marriage, but are like angels of God in heaven” (Matthew 22:30). Also, if the “sons of God” were angels, then wouldn’t it be unfair to judge mankind with the Flood? 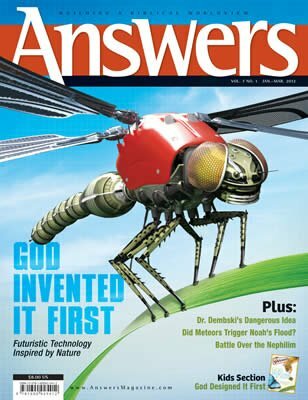 If Genesis 6 really describes angels marrying women and producing nephilim, then how did the post-Flood nephilim come about? They were giant people living in the land of Canaan, and there is no mention at that time of any type of angelic interaction to explain their existence. Finally, the Bible never definitively states that fallen angels can manifest in physical form, but they seem to require a body to possess. If they could take on human form, then they could have faked the Resurrection of Christ, and the central event of the Christian faith would be undermined. Some critics of the fallen angel view have also wondered whether offspring of a human and angel could be saved; to save Adam’s descendants, Jesus was born of a woman to become one of us so He could die in our place. While some dispute that the pre-Flood nephilim in Genesis 6 were giants, there is little question that those mentioned in Numbers 13 were very tall and powerful people. Nevertheless, questions remain concerning the origins of the nephilim. Were they the offspring of the unions in Genesis 6 or were they on the earth before these marriages took place? Did the post-Flood nephilim come about in the same way as those before the Flood, or were they not related in any way? Were they giants because of extraordinary parentage, or did they simply possess genetic information for great height and strength that is no longer in our gene pool? 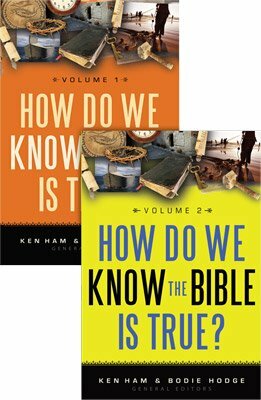 The answers to these questions largely depend upon your view of the “sons of God” in Genesis 6. This article summarizes only the first steps in a careful study of this topic. Many objections given above, for example, have received further counter arguments by those who defend other positions and point to other Scriptures, and so the discussion continues. When we run into difficult passages like this one, we must first ask ourselves if a key salvation issue is at stake (and it is not). Then we must determine if some interpretations violate other clear Scripture passages or if the Bible’s authority is at stake. Does the position come from the pages of Scripture, or does it rely on secular ideas for support? For example, those who seek to add millions of years into the Genesis account of creation are trying to force secular ideas into the text, so it is crucial for us to stand against every such attempt to undermine the Bible’s authority. Studying the nature of the “sons of God” is interesting and profitable, but certainly not as crucial as the clear, unequivocal revelation about six literal days of creation. We all have a duty to “rightly divide the word of truth” (2 Timothy 2:15), no matter what passage we’re examining, comparing Scripture with Scripture. But Christians will likely continue to disagree on this topic until the Lord returns. So we need to show grace to other believers, “agreeing to disagree.” We can still join together with them in the furtherance of the gospel and the glory of the Savior! Tim Chaffey holds a master of divinity in apologetics and theology and a ThM in church history and theology from Liberty Baptist Theological Seminary. He is a writer/editor for Answers in Genesis’s web department. 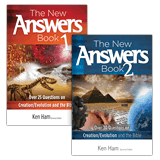 Tim has authored or coauthored several books, including Old-Earth Creationism on Trial and The Truth Chronicles series. Previous Article Butterflies on the Battlefield Next Article Did Meteors Trigger Noah’s Flood? This description varies among commentators who hold this view, but the general idea is agreed upon. A derivative of this view sees the “sons of God” as tyrants from Cain’s line. The Greek translation of the Hebrew Old Testament, known as the Septuagint, translates these references and Deuteronomy 32:8 as the “angels [of God].” Based on the discovery of two ancient manuscripts of Deuteronomy among the Dead Sea Scrolls, more recent Bible translations like the ESV and NET have translated the end of Deuteronomy 32:8 as “sons of God” and “heavenly assembly,” respectively. For a scholarly examination of this issue see Michael S. Heiser, “Deuteronomy 32:8 and the Sons of God,” Bibliotheca Sacra 158 (2001): 52–74. Linguistically similar to Hebrew, the Ugaritic texts found at Ras Shamra use nearly identical terms to describe heavenly beings—bn il (“sons of gods”) and bn ilm (“sons of the gods”). This definition is found in the following respected lexicons: HALOT, NIDOTTE, Davidson, and Jastrow. Brown-Driver-Briggs gives this definition but is uncertain about its etymology. Many ancient cultures, such as Greek, Roman, Norse, and Akkadian, have legends of heavenly beings (or gods) mating with women and producing offspring (such as the demigods Orion and Hercules). So those who favor the fallen angel position sometimes suggest that these pagan myths may be distortions of true events recorded in Genesis 6. The ancient Egyptians feared the giants in Canaan. Four execration texts (sort of like clay voodoo dolls to be smashed as a symbol of cursing the enemy) mention the Anakim, and a letter dated just after Moses (The Craft of the Scribe) mentions people in the land who ranged from nearly seven feet to eight and a half feet tall. Clyde E. Billington, “Goliath and the Exodus Giants: How Tall Were They?” Journal of the Evangelical Theological Society 50 (2007): 489–509. The Hebrew word Rephaim is probably a generic term meaning “giants” rather than a specific group of giants.